Located along Highway 50 in central Colorado, Hutchinson Ranch has been a working cattle operation for six generations. As the region becomes increasingly popular as a tourist destination and site for second homes, long-term ranchers like the Hutchinsons face inheritance taxes and other expenses that their traditional ranching operations cannot support. 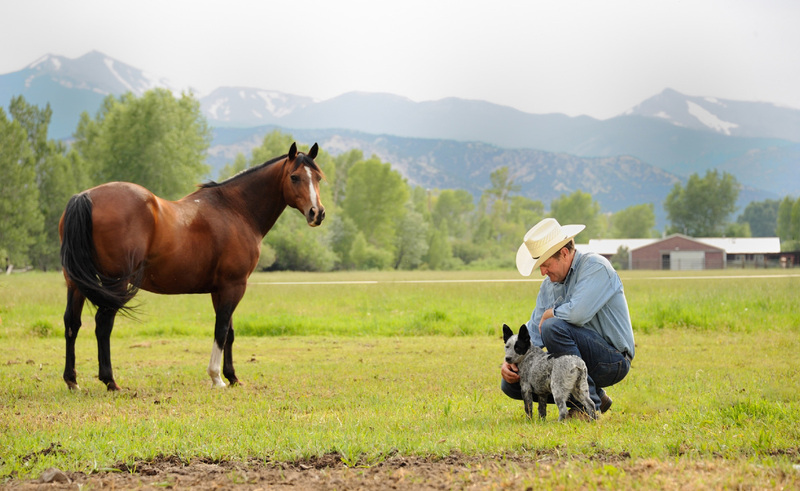 Working with The Trust for Public Land, the Colorado Cattlemen's Agricultural Land Trust (CCALT), and their advisors, the Hutchinsons have planned conservation easements that permanently protect nearly half of the ranch-while allowing the family to continue working the land. The Trust for Public Land secured funding from several sources to purchase two conservation easements totaling 470 acres on the ranch in 2011 and 2013, both of which are held by CCALT.